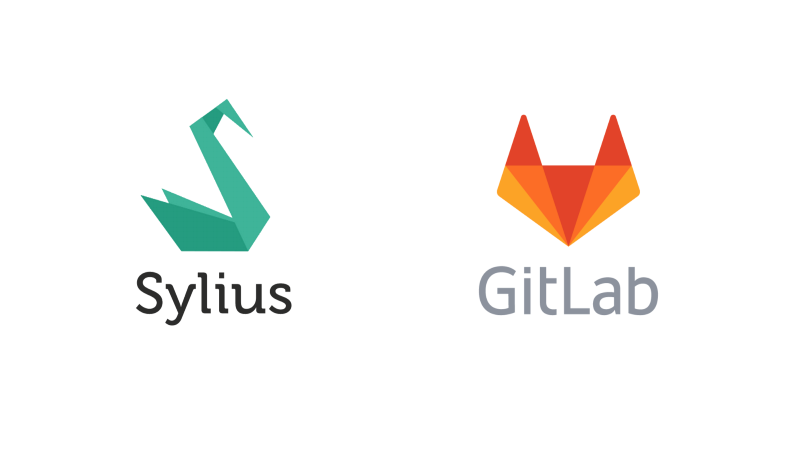 My task was straight-forward: Add GitLab CI to a Sylius project. While I have setup a lot of projects with TravisCI, I had never before with GitLab CI. All I knew was, analogous to TravisCI, that I would need some kind of configuration file which controls the automatization. GitLab says, that it is super easy – just create a .gitlab-ci.yml in your project root. But the more I read GitLabs documentation and blog posts, the more questions came to my mind. Do I need to create a Docker container? Installing a Gitlab Runner? Where? Why? I went straight to the Sylius Slack Channel to ask if somebody already has a configuration file available … but the answer was negative. I thought that this is a common task and since Sylius is based on Symfony 4 aka Flex, somebody has to have written a config file for it. But … all I found was outdated or misleading information. At the end I cherry picked piece by piece from all those findings and literally pushed line by line to GitLab waiting for the outcome. It took me a little less than 100 commits to get it working. Another 10 for fine tuning. In the following I will share and explain my config file with you. It can be used for a Sylius 1.3 project. TLDR: Here you go. If your are in a hurry, just copy the file and commit it to your project. I will update the file from time to time to keep up to date with GitLab changes or when I discover something new. Below the Gist, I explain the configuration in more detail. I learned that I don’t have to create a Docker container by myself. Some awesome people already did this and I (and you) can profit from it. The task was to find this container which comes with batteries included. The batteries here a the a fully installed LAMP stack. I tried alpine first only to find out it was missing a lot of stuff. I ended with the image from edbizarro/gitlab-ci-pipeline-php which addresses Laravel users but works very well for Flex/Sylius. It took me a while to configure the connection to the database. Used to use localhost or 127.0.0.1 for the --host I kept getting a Connection refused error. I learned to use mysql for the host option, since I import a MySQL Docker container when I specify mysql as a service in .gitlab-ci.yml. One of my sources for my .gitlab-ci.yml was the .travis.yml file at https://github.com/Sylius/Sylius-Standard/blob/master/.travis.yml. From there I took the rough structure and the environment. In case you wondered why I use --env=test_cached … now you know :-) If you read the file you will see that they use a specific .env.test_cached file, which responds to the test_cached environment. The copy it and source it to make the environment variables available. You will miss this in my config because it sets the DATABASE_URL to mysql:://root@127.0.0.1/sylius_test_cached. This was too static for me, so I decided to set the environment variables manually and use those variables to create the database connection string. Composer run out of memory: Sometimes while he was fetching the dependencies from upstream, sometimes while clearing the cache after installing the dependencies. Therefore I set the memory limit to infinite on line 14. Composer hit max execution time: Again the clear cache command was the culprit. It takes ages to clear an–I guess already empty cache–that it slows down the whole process and sometimes even hits the max_execution_time limit. I decided to run composer install with the --no-scripts option (line 51). I think the rest is pretty basic stuff and self explaining. If you have any question, please leave a comment.